Take a look at this lot! We got together this weekend for Ben's birthday, he's the blond down on the front not looking at the camera. 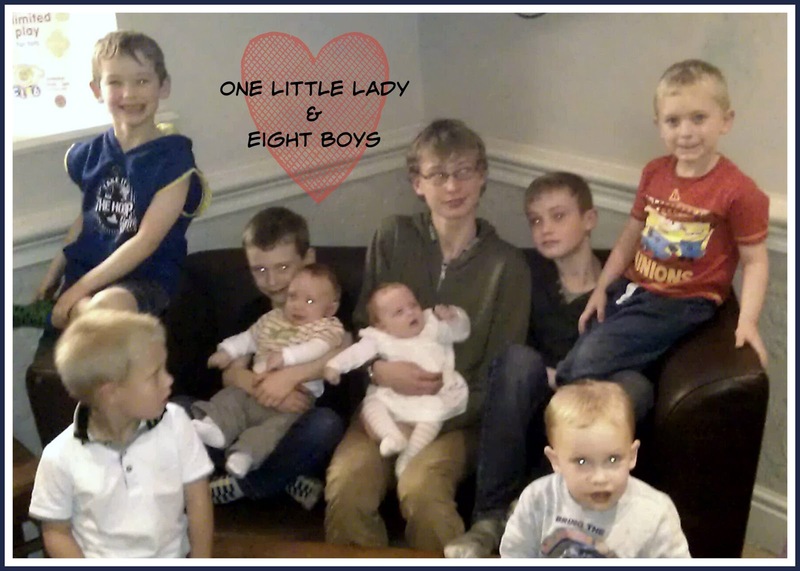 It's really not easy getting 9 kids to look the same way and smile all at the same time! I'm not the only one who tried to snap this and I'm still waiting to see if anyone got everyone! There are two faces missing from this photo of cousins - but with modern families being what they are getting all the kids together in one place at one time isn't always as simple as you might imagine. There should also be Megan, Clare's daughter, and Harry, Amy's son. One day we'll have them all in one place at the same time! Looking at this as someone who grew up with virtually no family around them.... this is awesome! I love these trips over to visit family. I love the fact that my boys have so many cousins - and each have a cousin the same age as them selves who they get on with and play with.